Photos and images are indispensable in today’s websites. From blogs to news sites, photographs add to the content and make it more appealing and informative. So, it is only logical that websites offering stock photos are also on the rise. Website and blog owners are always on the lookout for inexpensive and quality pictures to use. Buying high-quality, licensed photos tend to be expensive. For this reason, some people opt for free pictures that can be found online. However, downloading such images can sometimes infringe copyrights and can lead to many problems. What is more, high-quality photos available for free download are seldom found. Considering all this, here are five reasons you should choose stock photography websites instead of searching for free pictures on the web. Most stock websites have massive databases. Their offer ranges from simple, one-object shots to complex images showing people and things in unique and interesting ways. What is more, they offer images in different sizes, depending on the purpose. This means that the choice regarding the price is also greater. Smaller-size photos tend to be cheaper, and the buyer can select the right size and price each time. Stock website owners require the photographers to submit licenses and model releases when they offer their pictures for sale. This means, for the buyer, that there is no need to worry about any sort of legal issues. Everything is already taken care of, and all that is left is simply to select the right photo to purchase. Most stock photo websites offer the option of signing up for free to their website. All that the buyer pays for is the photo they selected. For those who prefer not to commit and pay a subscription fee, this is the perfect choice. Also, the agencies usually send regular updates and alerts regarding their offers, discounts, or new content. A great feature of such websites is their availability and immediacy. The images are instantly downloaded and ready to use. With today’s fast pace of business and content creation, there is just no time to lose. And, stock photography providers are well aware of those facts. Even though you may prefer not to pay a subscription fee, it should be worth considering. By opting to pay a monthly or even yearly subscription fee for a stock photo website, the client can most usually get unlimited access to the complete database. This means that, for a flat rate already paid for, the buyer can decide on a large number of photos to download instead of just one or two. Later, they buyer can simply store the photos until they become necessary. 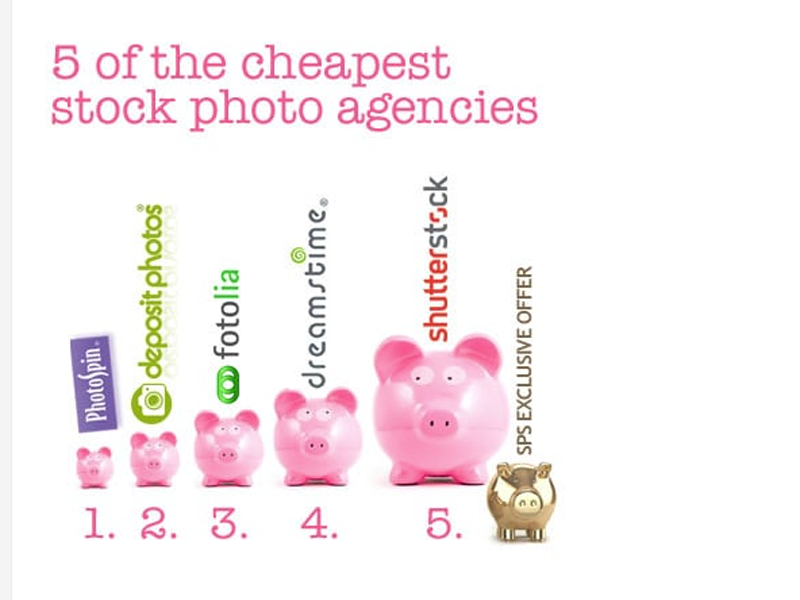 Here is a list of only five reasons to opt for a stock image agency. On stockphotosecrets.com, you can find many more useful tips. Photos continue to play a vital role on today’s websites. They are very help describe and add value to a website or blog. Readers are far more receptive to content that contains photos, they can help draw them in and keep them focused on a webpage or blog. Cheap Stock Images continue to grow in popularity. They offer a cheap and easy way to add visual content to a website. Buying licensed photos can be too expensive and you run the risk of infringing on copyright laws when you take pictures from the internet. There are five major reasons why you should choose stock photography websites for your picture needs. With a stock photo website, you are able to choose from a giant database of pictures. You have many options when it comes to photo size, quality, and also pricing options when you go with Cheap Stock Photos. When choosing to buy Cheap Stock Images, the customer doesn’t have to worry about any legal issues arising. The stock image website has negotiated licensing with every photographer so you don’t need to worry about any copyright infringement. Any good stock photo site will also offer free membership. You are only paying for the content that you want and need. The buyer doesn’t have to worry about any monthly subscription fees. Another great feature when buying Cheap Stock Images, is that the purchaser has immediate access to their purchase. They can post it on their website or blog instantly. This gives you the ability to create content without any downtime. For those who need a very large amount of pictures, a subscription may be a cheaper option. Although you can buy only the pictures you need, by buying a subscription, you will have an unlimited access to the photo database. Selecting the right photos for your website can make or break it. So, carefully consider the source of the images used. Stock photography websites are currently the safest and easiest way to find the perfect image you need.Images play a huge part in website content and it’s important to find the right images.